'Nepal Air Disaster - No survivors': this newspaper headline transforms Tintin's holidays into an extraordinary adventure. Flight 714 (1968) , is the interrupted voyage, the hijacking which will turn everything upside down, Tintin and his friends' foray into the unknown, in a surreal world highlighted with telepathic phenomena. 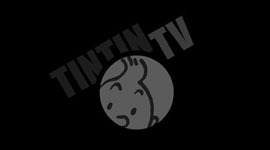 The twenty-third episode in the series, Tintin and the Picaros (1976) is a Latin-American tale of a coup d'état, complete with hostage-taking and guerrilla warfare. Leslie Lonsdale-Cooper worked with Michael Turner for over half a century, translating the Adventures of Tintin into English. Hot on the trail of opium smugglers, Tintin sets off across Egypt (Port Said, Cairo, the Pyramids and the Red Sea) and India. The Blue Lotus is the sequel to Cigars of the Pharaoh. Tintin and Snowy stumble upon a police investigation underway in Brussels, revolving around the mystery of a drowned man. Tintin decides to go and search for Chang, who has disappeared following an aeroplane crash in Nepal. Following the kidnapping of Professor Calculus in 'The Seven Crystal Balls', Tintin travels to Peru. Tintin has travelled the whole world on a perpetual journey of exciting discovery. A 1964 film by Ray Goossens Strange things are happening in the evening at Marlinspike Hall. Windows, glass, mirrors and vases break without any apparent reason.